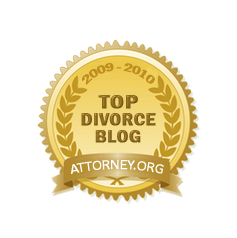 Three major issues commonly resolved in a divorce decree or agreement are: alimony, or spousal support; division of property; and child support. Each has its own tax treatment and implications. In general, for federal income tax purposes, alimony is “deductible” from the income of the spouse paying it and considered taxable income to the spouse receiving it. If the payor spouse has a significantly higher income, there is an incentive to maximize the amount of payments that are considered alimony to the ex-spouse, as opposed to nondeductible payments such as property distributions and child support payments. The recipient (ex-spouse) may be in a much lower income tax bracket and agree to the plan. It is important to note, however, that the IRS objects to attempts to mischaracterize child support or property divisions as alimony, because of the tax effects. Child support payments are not deductible from the income of the payor spouse for federal income tax purposes. Payments that are specifically designated as child support in the divorce decree or written agreement between the spouses cannot be treated as alimony for income tax purposes. Moreover, if the spouse making alimony and child support payments pays less than the required total for both, the child support obligation is deemed paid in full first for tax purposes. Only money exceeding the amount of the child support obligation may be treated as alimony. If the alimony provisions satisfy either of the above “tests,” there is a rebuttable presumption that the payments are really child support to the extent of the reduction. Thus, if the alimony amount is reduced one or more times on dates related to a child’s birthday, the amounts by which the alimony is reduced are considered “child support” and are not deductible by the payor spouse for federal income tax purposes. The above are not the only times the IRS may seek to recharacterize alimony as child support. The IRS may scrutinize any major reductions of alimony after a period of years. Reductions which are made at a specified date on or near the birthday(s) of a child or children, as described above, however, create a “presumption” that the payments were really child support. The taxpayer may “rebut” this presumption. One way to do this might be to show that there is another rationale for the reduction date, such as it coincides with one half the duration of the marriage and/or is a common time for reduction or elimination of alimony under local law and practice.